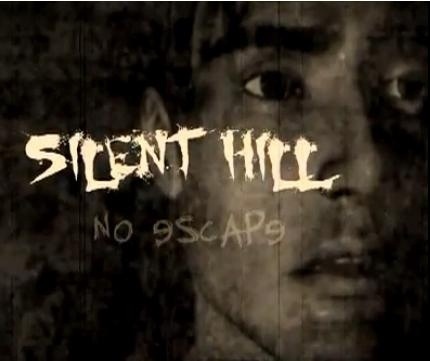 Silent Hill No Escape is a 2005 fan-made CGI film based on the Silent Hill series by Konami. The film is written, directed and animated by Nick Greenlee. It is a completely original story, not based on any pre-existing Silent Hill media. No Escape was created solely by Greenlee, using 3D models from several sources, and cheap 3D modeling programs. Music from several sources is also utilized, with music from the soundtracks of the first four Silent Hill games most prominent. The film is presented in 6 separate episodes (note: episode’s 5 and 6 were split into 5 segments on youtube due to their length (5a,5b,6a,6b,final)), and can be found on both Youtube and Nick’s website. It is also available for free download as a burnable DVD image file. The film follows the story of Michael Jones, a mental patient at Brookhaven Hospital, as he undergoes psychotherapy sessions with his psychiatrist Dr. Elizabeth Harvey. Much of the story takes place within Michael’s mind, which is somehow linked to the Otherworld due to his psychosis. Scenes that take place within the Otherworld often appear more “real” than those that take place in the Real World, indicating Michael’s tenuous connection to reality. Michael’s descent through the layers of the Otherworld are often visualized by a swiftly falling, cage-like elevator in which he is trapped. Ever-present is a dark, demonic form that seems to be stalking him. Fog Shade – First seen in Part 2 – Terror in the Depths of the Fog, this mysterious spectre has been spotted in the fog simply whispering the word “Michael”, perhaps tempting him to go toward it. It takes the form of a human being, but it’s features are always concealed behind the thick blanket of fog that plagues the town of Silent Hill. It seems that wherever the Fog Shade can be found, danger is just around the corner. Shackled Victim – First seen in Part 2 – Terror in the Depths of the Fog, this humanistic being is bound in chains and shackles, and represents an ear piercing scream. It appears to be in constant pain and agony, as if held prisoner to an unmerciful master. Because the chains render the demon’s upper body useless, it is forced to attack with a gigantic, gaping maw that could easily tear a normal man’s face clean off his skull. Perhaps the Shackled Victim is more concerned with breaking free of it’s suffering than it is with killing the wandering unaware? Brookhaven Nurse – The infamous nurse wanders the shadows deep within Brookhaven Hospital; often traveling in groups. While slow, they do have the ability to carry blunt objects, and use them with fatal force. Under the doctors’ orders, the Brookhaven Nurses have been sent out to find Michael — to cut out his eyes and rip out his tongue. Perhaps they are the reanimated bodies of Brookhaven’s past, or perhaps they are the negative perspective that Michael has on the hospital. The Agony – Perhaps the most mysterious of all creatures, the aptly dubbed “Agony” monster has been haunting Michael’s dreams for some time. The faceless being wields a giant, malignant axe that no common man could carry, and controls a divine force of chains that give him more maneuverability and menace. Within it’s presence, Michael feels a strange sensation of darkness and lack of hope. It dwells in the opposite spectrum, where despair overwhelms all other emotions. Brookhaven Doctor – The malicious “Brookhaven Doctor”, like the nurses, is a dark manifestation of how Michael perceives these creatures. While the nurses are the mercenaries, the doctors take the role of leader — often standing idly by, issuing orders rather than carrying them out. On the contrary, the doctors have a wicked taste for performing torturous surgeries on the living by ridding them of their sight and speech. But for what reason? Strangely, Michael cannot see their faces, as if they were a figment of an erratic dream. The Bride – The Bride exists in Silent Hill as Michael’s ill-omened recollection of his late wife, Sarah. In life, they were inseparable soulmates, until the tragic accident. While doctors wouldn’t announce her condition, Michael can only assume she was killed, leaving him once again alone… in the dark. What’s worse is that his downward spiral is leaving him so disoriented and confused that he cannot even remember her beautiful face anymore; that unforgettable smile. The Bride is merely a silent spectre in the dark, haunting Michael. Mind Parasite – In the bottom of the pit… at the edge of insanity… the Mind Parasite awakens as the ‘Dark One’ crosses worlds. “The Devil Awakens”, not just here, but in the Internal World as well; where a man named Michael has been consumed by his own inner demon. As Michael descends into the darkest of holes, the Otherworld is devoured by the Mind Parasite… leaving nothing but the black oblivion and Michael’s own regrets. Masked Creature (yin-yang mask) – No official information on this creature exists, but it follows Michael briefly in episode 6 similarly to how Valtiel follows Heather in Silent Hill 3. In the Otherworld he silently gives a guiding gesture for Michael towards a doorway while Dr. Harvey is attempting to make a breakthrough with Michael in the real world. Michael Jones (Protagonist) – As the protagonist in the story, Michael Jones lived a life hating the world for what society made of it. He’s a Philosopher who disrespected humanity as a weak, inferior race who went through life believing that a God controlled their fate, when in fact we are alone in the universe. Suddenly, one day, Michael woke on a hospital bed in Brookhaven Hospital, being told the news that he and his wife were in a severe auto accident, and that he would be bound to a wheelchair as a result. It is here that his pain would consume him forever. Elizabeth Harvey – Dr. Elizabeth Harvey was called in to Brookhaven Hospital to provide Pyschological assistance to Michael who refused to talk to any doctor or nurse that lended help. She was determined to get into the mind of this deeply disturbed person, and because he is bound to a wheelchair with nothing but his memories, Michael was forced to cooperate. It is soon clear that Elizabeth’s methods of work appeal to Michael, and he begins to feel emotions toward her that he doesn’t reveal to anyone else. Father Victor – Father Victor, Silent Hill’s much beloved Priest, preached to the town his faith in Christianity and God for many years. He believed that one day, God would descend from the Heavens, and pull humanity out of it’s depression, ensuing peace for eternity. When confronted by Michael, a man whose views completely opposed religion, Father Victor wouldn’t let his faith be stolen, so he pulled in his cross to remind him that God is with him. He enjoys Frank Sinatra, and makes time out of his busy lifestyle to read the newspaper daily. Quinton Alverez – Quinton Alverez exists in Michael’s memories as that paranoid, yet dedicated friend at Brookhaven Hospital. He shared the same experiences, thoughts, and emotions that Michael dwelled on, yet provided alternate ideas that further heightened his extreme case of paranoia… the biggest of which being the lack of privacy. “They’re watching us” he would say; they being the hospital faculty. According to Quinton, the only safe route is the blind route, where then you would have no evil to speak of. Michael Jones is a resident of Silent Hill and a patient in the psychiatric ward of Brookhaven Hospital. Due to a mysterious car accident, he is confined to a wheelchair. The story follows his continuing therapy sessions with Dr. Elizabeth Harvey. Michael’s consciousness often slips into the Otherworld, a phenomenon his doctors chalk up to psychotic episodes and delirium. When we first see him, Michael awakes in the Fog World version of his house. He begins to notice many ominous signs and messages which seem to be both warnings and encouragements to explore his Otherworld. It is revealed that Michael and his wife were in some sort of unexplained vehicular accident, resulting in his current condition. His psychotherapy sessions seem to be geared toward the revelation of the truth behind this accident. Michael is often plagued by visions of a demonic entity watching him in a predatory manner. He also frequently sees a number of burlap dolls with nails in their heads scattered around Silent Hill, often accompanied by the words NO ESCAPE written in blood. At one point a shadowy form speaks to him, claiming to be his conscience. The fog shade beckons him to follow, to which he reluctantly obliges. While following the fog shade through the streets of Silent Hill, Michael comes across the corpse of Father Victor, a priest he knew from before his accident. A radio beside the priest’s body begins to emit loud bursts of static, and Michael turns to see a monstrous figure stumbling through the fog. He approaches to investigate, and is horrified to see that the figure is deformed and heavily bound with chains, a nail jutting from its forehead simmilar to the burlap dolls seen earlier. While still in a state of shock from the sight, Michael is suddenly attacked by the monster. He loses consciousness, only to awake an unknown length of time later in the center of an enormous Halo of the Sun symbol etched upon the street in blood. The monster is nowhere to be found. The fog shade appears once more, and implores Michael to continue his journey. While following in the wake of the fog shade, he comes to a street lined with bodies and hanging corpses. The street becomes gradually more unsettling as he nears its end. At the end of the street, the Otherworld briefly takes over, and Michael suffers some sort of mental breakdown, during which he sees vague glimpses of his future journey through his subconscious. All the while in the Real World, Dr. Harvey attempts to convince him that all of it is in his head. She temporarily succeeds, and Michael seems to regain some control. When he recovers, Michael finds himself before the entrance to Brookhaven Hospital in the Fog World. A shadowy figure momentarily stares down at him from one of the third floor windows before withdrawing into the darkness. Michael steels himself for the worst, and enters the hospital. Within the hospital, Michael briefly recalls a memory of Quinton Alvarez, a friend of his in the Real World. While exploring the hospital, Michael is assaulted by the vision of the burlap doll approaching menacingly in a wheelchair. He suffers another mental breakdown as the Otherworld begins once more to bleed into the Fog World. Michael regains consciousness and is forced to watch the demonic entity from his nightmares slaughter his dog, Jasper. The entity then rushes to attack Michael, at which point he flees into the hall. Exploring the hospital further, Michael enters room C2, and finds Quinton Alvarez’s corpse on a gurney. Above the body, the words “see no evil, speak no evil” are spashed upon the wall in blood. A television suddenly flickers on, and Michael watches as Quinton is mutilated on-screen by a faceless doctor and nurse. Quinton’s body then sits up, seeming to reach out to Michael for help. It is revealed that Quinton’s eyes and tongue have been removed. A manhole cover-like disk is inexplicably removed from a hole in the floor, and malformed nurses begin to crawl out of it, staggering toward Michael. He has a brief moment of inner tranquility, before jumping headlong through the hole. While falling rapidly, Michael again loses consciousness. Michael awakens in the Otherworld beneath a hospital gurney, atop which a spike-laden being is mutilating a body. The being then lurches away from the gurney, Michael is horrified to realize it is none other than the demonic entity from his nightmares and visions. When the being leaves the room, Michael reluctantly crawls out from under the gurney. He finds himself in room C2, which is now full of mutilated corpses, each one in some state of un-death. In the Real World, Michael is seen telling Dr. Harvey that he believes he has lost his mind. Exiting room C2, Michael embarks upon his hellish trek through Brookhaven Hospital’s Otherworld. All around him there are mutilated bodies in cages and twitching humanoid forms. After reaching a state of near-panic, He finds himself beneath a massive fan, which spins rapidly while a harsh orange light spills out from above. Meanwhile, in the Real World, Michael tells Dr. Harvey that he thinks he is in his own personal hell. It is revealed that Michael’s entire family is deceased, and in the Otherworld, he is confronted by a vision of his late wife. Dr. Harvey suggests he go deeper, at which point he enters the Otherworld’s morgue. Upon entering the morgue, Michael sees an old fashioned radio on a table. The radio emits a cryptic message in a strange voice, while around the room, the corpses in the morgue appear to stir. Michael’s flashlight suddenly goes dark, and when it re-lights, he finds himself surrounded by nurses. The faceless doctor from the video is leading them, and he instructs the nurses to kill Michael. Suddenly, a number of chains erupt from the darkness and dispatch the nurses. Michael turns to see their source, and is horrified to see it is the demonic entity that has been plaguing him. The being then directs it’s chains toward Michael, who futilely attempts to resist. The chains eventually overcome him, and he is knocked unconscious. Michael finds himself in a dark room, shackled to a chair. Across the room, standing behind a table upon which rests the familiar burlap doll, is the demonic entity. Michael asks the being who it is, and then proceeds to name the being, calling it the agony in his head, the morbid obsession, and the parasite behind his eyes. The Agony then reveals its true nature, abruptly assuming the form of a corrupted version of Michael. It refers to itself as Michaels’ shadow, and his guilty pleasure, before telling him that there is no escape. Michael seems to black out again, and is wheeled down a long corridor with disturbing paintings adorning the ceiling. He then finds himself strapped to a piece of metal grating, the Agony standing before him with a sledge hammer. The Agony then proceeds to break Michael’s left hand with the hammer, after which he passes out from the pain. It is revealed that in the Real World, Michael broke apparently broke his own hand. Due to this, he has been confined to a padded cell, and bound in a straight jacket. Dr. Harvey, enraged at Michael’s treatment, convinces the orderlies to release him. When asked by Dr. Harvey what he did to his hand, Michael replies that he does not know. Dr. Harvey then helps him out of the cell. In the other layers of Silent Hill, the Otherworld has reverted back to the Fog World. Michael had been confined in this reality too, and Dr. Harvey releasing him in the Real World releases him in the Fog World as well. Exiting his cell, he sees Quinton, still lacking eyes and tongue. Quinton hands Michael a flashlight and a pistol, then points behind Michal to a door above which the word Nowhere is written in blood. Quinton disappears, replaced by a cracked and blood-stained picture of him laying on the floor. Michael enters the door to Nowhere. In the Real World, Dr. Harvey is wheeling Michael down a hallway. He asks her what really happened to his family, to which she replies “you already know.” Michael says that he does not understand, and Dr. Harvey asks if he’d like to continue his therapy, to which he sullenly agrees. Michael finds himself standing in a dark, rusty, blood-caked chamber. Around the room, chained to pillars, are chained victim monsters identical to the one that he first encountered in the streets of Silent Hill. They follow him with their gaze as he passes. He enters a door, and finds himself in his own home. Walking through his house, he first finds a dead and mutilated body resembling himself sitting in front of a staticky television (which is very similar to a scene in Silent Hill 2). Michael explores the house further, entering a bedroom wherein he finds two bloody corpses on a bed, covered with a blanket. Above them is written “Mother I / Father II”. Michael realizes The Agony is watching him from the darkness. He fires at it with his pistol as he fearfully backs away, but the bullets have no effect. Panicking, Michael runs through the closest door and slams it behind him. The room he enters is a nursery of some kind, and a baby’s cries are heard coming from the cradle. Upon investigating, Michael discovers the burlap doll once more, laying in the crib. Michael is then drawn into the Otherworld again, and finds himself in a hallway with the decapitated body of his brother, Francis. “Brother III” is splashed upon the wall in blood. He runs through a door, and enters the room once shared by he and his wife. In the Real World, Dr. Harvey reveals to Michael that his wife had been killed, and had, in fact, not died in the accident that crippled Michael. She goes on to say that Michael’s wife had been fatally stabbed to death. In the Otherworld, Michael finds his wife’s body on their bed, her face concealed beneath a black veil. “Wife IV” is written on the wall. Michael enters into a strange state of mind, in which his Real World self seems to be verbally directing the actions his Otherworld self. In the Otherworld, Michael is transported to a room filled with doors. Loud, urgent knocking begins to sound from behind the doors, and Michael attempts to enter the only door that is ajar. In the Real World, Michael suddenly panics, yelling at himself to get out, claiming that “That path is distorted.” He then has a vision of his dead body rising from it’s chair and lurching towards him. Michael begins to have hallucinations of The Agony in the Real World. Michael realizes that he is the key to The Agony’s escape. Dr. Harvey reveals to Michael that his wife’s blood was found in his home. When he reacts in shock, she says she is going to help him remember. In the Otherworld, Michael is inexplicably standing on a metal catwalk, at the end of which his dog Jasper’s body is hung. Below the dog is “Companion V” in blood. In the Real World, Michael reacts with anger at Dr. Harvey’s accusations. She tells him that “They want to know where the bodies are.” Michael responds, saying that Quinton tried to warn him. Dr. Harvey tells him that Quinton was never real, that was all in Michael’s head. At length, Michael’s Otherworld self comes to a door upon which the word “God” is written in blood. Behind the door is a chapel, and Father Victor is praying for Michael’s soul at the pulpit. Michael is shocked when Father Victor turns toward him, revealing that one of his eyes is gouged out. He says that Michael had seen Hell, and that he was drawn here by subconscious guilt. The Agony appears behind Michael and knocks him unconscious with its axe. He awakens chained up in front of the pulpit. On the wall in front of him the words “Mother I Father II Brother III Wife IV Companion V” are inscribed in blood. A final inscription reads “? VI” Father Victor speaks to Michael about his family, to which he angrily responds “They were taken from me!” He notices The Agony beside Father Victor, and says “HIM! !” hatefully. Father Victor claims that it was all beyond Michael’s control. He reveals that The Agony used Michael’s body to slaughter his family members. He also states that one more sacrifice is needed for The Agony to take complete control. When Michael says that The Agony can’t kill him, Father Victor says that is is not Michael, but Dr. Elizabeth Harvey who is to be the final sacrifice. Elizabeth enters the chapel, whereupon the final blood inscription changes to “Guide VI”. She runs up the aisle to free Michael from his chains, apparently unable to see any of the danger present. He tries to warn her away, but she doesn’t listen. As she tugs at Michael’s chains, The Agony approaches menacingly, raising his axe above her head. In the Real World, Michael’s entire demeanor changes. He suddenly appears menacing and dangerous. The odd look in his eye and the intense stare he has assumed causes Elizabeth to ask “Michael, are you okay?” to which Michael answers “Michael… is that what you call him?” A moment of tension stills the room, before Michael, possessed by The Agony, swiftly lunges and kills Elizabeth. in the Otherworld, Michael can do nothing but scream as The Agony brings the axe down into her skull. He then places her body on the altar, and in a roar of triumph, vanishes. The chapel goes dark. Father Victor muses about The Agony having crossed over into the Real World. He leaves the chapel, telling Michael that he is to remain in the Otherworld forever. Veins of black corruption begin to creep across the chapel towards Michael. He frees himself from his chains, and has time to hide behind a pew in time to witness a colossal demonic form emerging from a pit in the chapel floor. This creature, referred to as the Mind Parasite, sweeps the chapel in search of Michael. Michael then flees toward the door, only to find it sealed, with the words “No Escape” glowing bright red across their surface. He then turns, to stare face to face with the Mind Parasite, at which point, Michael’s consciousness falls into the darkness of oblivion. In the real world, Michael is now in a cell. Two police officers are discussing his string of murders and how they never found the bodies, saying that Dr. Elizabeth Harvey was the only person who could have gotten the information out of him. They also say that Michael had been diagnosed with an extreme case of schizophrenia. They compare his duality of personalities to Jekyll and Hyde, claiming that the Jekyll personality hasn’t resurfaced for some time. At the very end, Michael stares into the camera as corruption or blood crawls over his face, while one of the officers says that he feels like there’s something wrong with the whole town of Silent Hill. The Agony is strikingly similar in appearance to the comic character Spawn, because a free model of Spawn was downloaded, modified and used for the character. No Escape took a year to develop. The Yin-Yang symbol is somewhat prominent in the story, due to it’s symbolism as a representation of dual nature. The Agony, in some ways, behaves similarly to Pyramid Head. Michael is claustrophobic. This explains the presence of elevators in his Otherworld. Due to the general lack of spoken dialogue, No Escape plays out somewhat like a silent film. The painting Saturn Devouring his Son by Francisco Goya appears several times. The film seems to take much of its inspiration from Silent Hill 2. Several other characters throughout the Silent Hill series were able to access the Otherworld through insanity alone. Most notable among these are Stanley Coleman, Helen Grady, and possibly Leonard Wolf. The therapy sessions breaking the action in the Otherworld are very similar in nature to Silent Hill: Shattered Memories. The Mind Parasite is not the first “final boss” creature to appear as a classic horned demon. The others are the Demon and the Incubus.